Marizeli A. Olacio, DPM (Miami Shores) - Book Appointment Online! Dr. Marizeli Olacio practices podiatry (foot & ankle medicine) in North Miami Beach and Miami Shores. 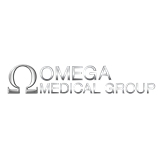 Dr. Olacio is an in-network provider for Medicare, Cigna, United, Ambetter, and several other insurance. Dr. Olacio is conversant in Spanish. Dr. Olacio's professional affiliations include Aventura Hospital, Mercy Hospital, and North Shore Hospital.